"Please believe- no one is flocking to this paradise island the get the inside scoop on the latest fashion trends"
"Clothes in stores around the country consist of the 2-year-old overstock from off-brand clothing designers aka nothing to report on Weirdochic"
Second of all, oh how things have changed. Here I am, two years later, back in Sri Lanka, half-way through a 3-month stint and I am in shock. I'm not sure if my eyes weren't opened to the sub-culture of high fashion when I was here last or if the country is changing faster than I expected but this is not the same place I was in while writing that extra-sassy post two years ago. While the conservative majority still exists in which anything above the collarbone and below the knee - regardless of the color, sequins, polka dots, or frills - is suitable, there is now a crowd emerging that is more fabulous than I could have ever dreamed of. I seem to find new boutiques every day that only house beautiful local designs with a modern twist. For example, I stumbled into the opening night of Sonali Dharmawardena's new line. The two below are wearing her designs. 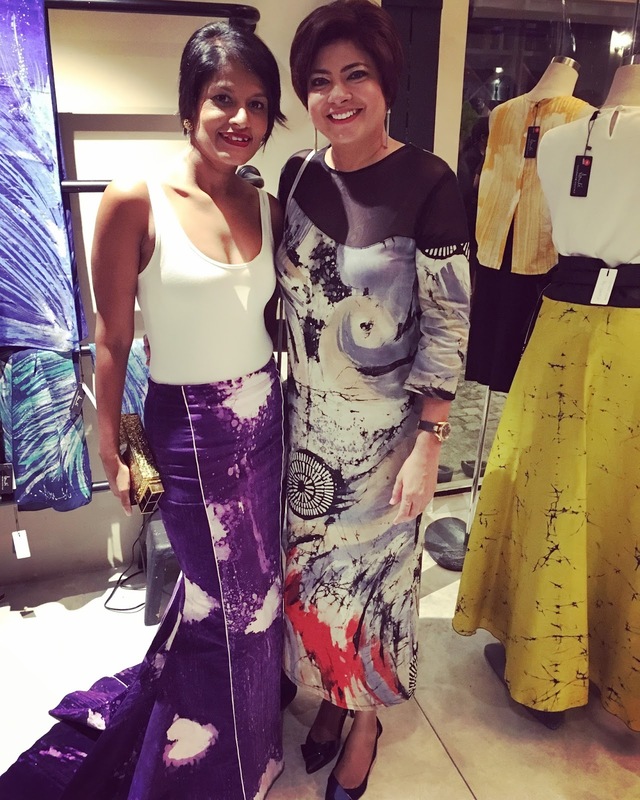 The young designers or Sri Lanka are also making waves. When I heard that the Sri Lanka Design festival was hosting a fashion show which featured fashion school graduates, I washed the dirt off of my 'nice' sandals and headed over. This mother-daughter duo caught my eye as soon as I saw mama's strapless-style sari. Both used the beautiful draping aesthetic of Sri Lanka in a unique and beautiful way. 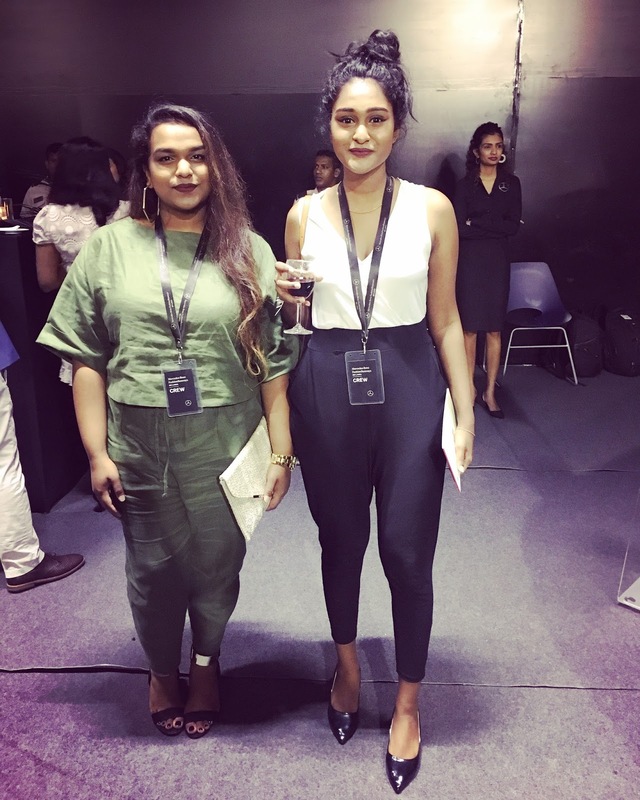 Daughter, Shakti Ponniah, documents all things new and exciting when it comes to Sri Lanka's exploding culture with her instagram - islandadventurist. Give it a follow to see what you're missing out on! When I asked Dilushi, in the unforgettable army-green below, where she snagged that sick onsie, she pressed a dagger through my heart with her "Oh, I just stitched it together myself" response. 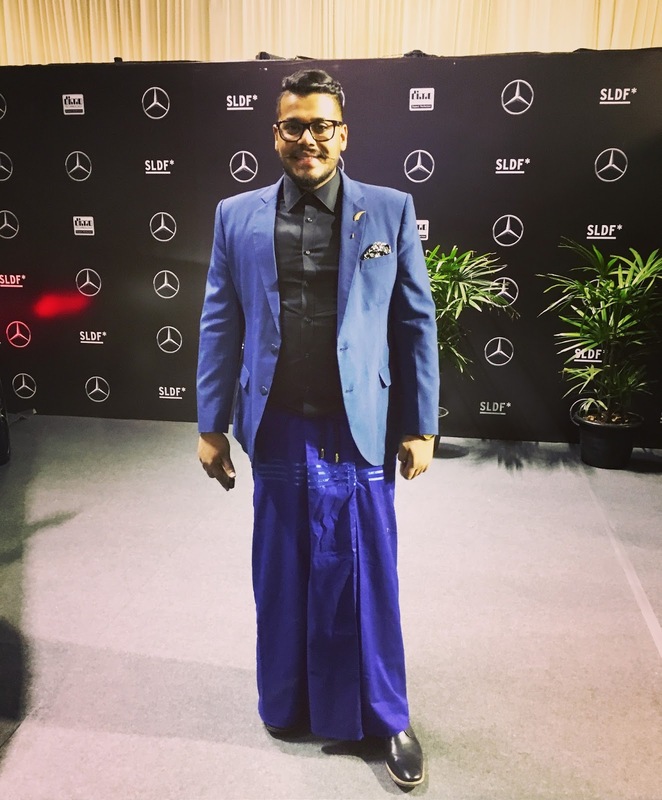 It was impossible to miss the firecracker below, stomping around in his sarong and blazer - a combination I have dreamed about for several days afterwards. Danu (http://www.danu.lk/), is the head em-cee of the radio station 'WTF' (Where to Find). Last, but quite obviously not least are Hash & Manga (https://www.facebook.com/hashNmangaTV/), a fashion designing pair inspired by everything from skater style to the Colombo streets. They also happen to have a pretty entertaining vlog. I promise I'm not biased just because they put me on it ( https://www.youtube.com/watch?v=W85iPlw61Kg&feature=youtu.be ). 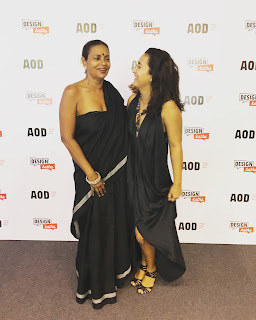 If the beauties I am seeing these days are any indication, I doubt I'll be writing anything remotely catty about Sri Lankan fashion any time soon. It's only getting bigger and better from here (don't worry, I'm knocking on wood).